Taking care of a real pet can be hard. Taking care of a rock is simple. When you were a child, how often did you beg for a puppy or kitten? Your own kids might insist that they are old enough to care for one, or they may try to convince you that they won't ask for anything else for an entire year! Pets are a lot of work, and a pet rock, once decorated, requires no work at all. They will not get sick or die, they won't eat your favorite shoes, and they certainly won't get into your trash bin. Instead, focus on the enjoyment you will get from painting, decorating, personalizing, and displaying your new pet rock! You can keep it on your desk, by your bed, or next to a houseplant. 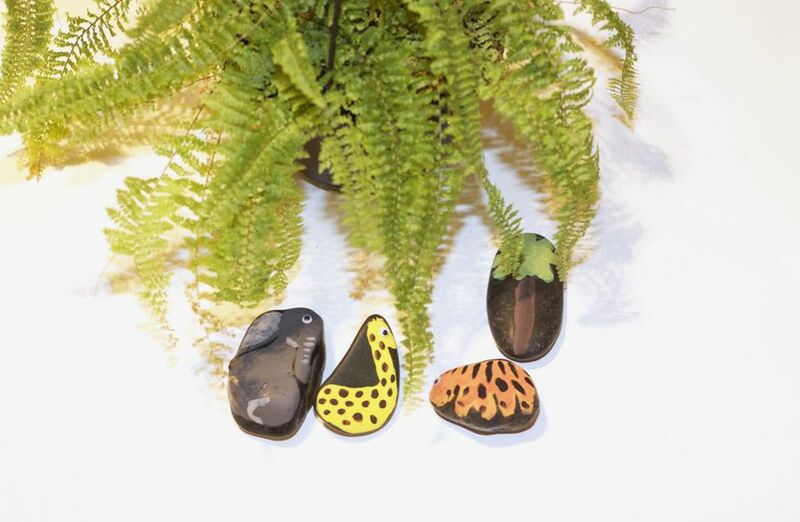 For these rocks, we decided to paint jungle animals on them, since it's the closest we'll get to having a cute pet elephant, tiger, or giraffe. You can also further decorate your pet rocks with crafting paper, yarn, glitter, or any other craft materials you want. First up, once you have all the supplies you'll need, you can start painting your pet rock. Think about what you want your pet rock to look like. Do you want it to take after a particular animal or a made up being? Once you decide, it's time to start painting. Depending on how dark your rock is, you will need to apply several coats of paint. When you're done, let it dry before moving on to the next step. After your base color has dried, use a smaller paintbrush to paint on the details. 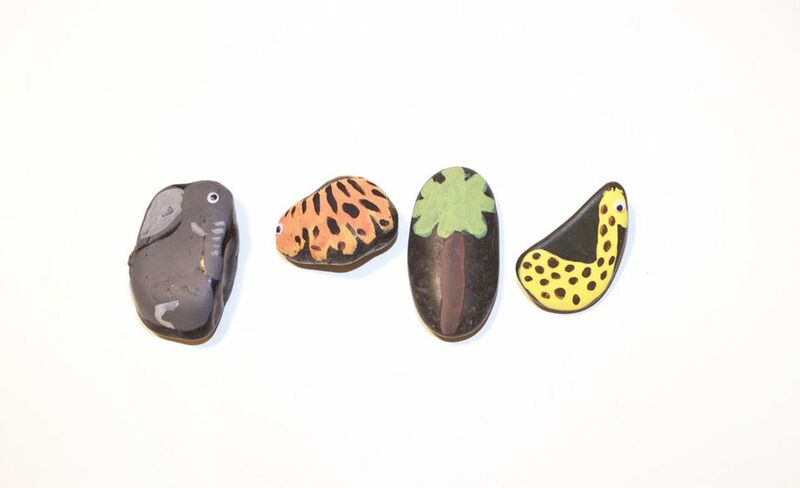 For these jungle rock buddies, we added spots to the giraffe, stripes to the tiger, and shading on the elephant. To give the pet rock some personality, we added googly eyes. Use a hot glue gun to stick your eyes onto the pet rock once all the paint has dried (the adhesive that comes on the back of the googly eyes won't be enough alone to stick). If the paint is still wet, the eyes or any other craft materials you're adding on will not stick properly. If you are adding yarn, fabric, or craft paper, hot glue works the best since the rock can be a difficult surface to have things stick to. Warning: Children age 10 and under should be supervised by a parent or guardian while using a hot glue gun. Decide where you're going to place them (On a mantel? With houseplants? By an aquarium?) and enjoy your new pet rocks!